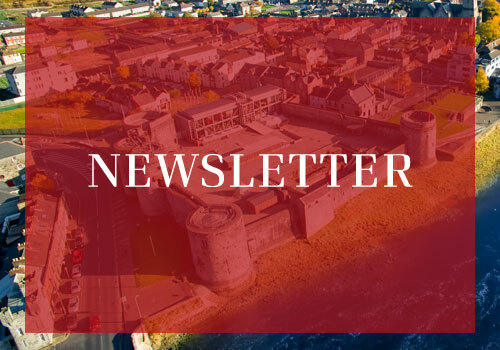 Remembering Limerick – Detailing information on Limerick’s general and Mayoral history. Made in Limerick. Vol. I – History of Limerick’s industries, trade and commerce. James Pain Architect – A study on the life and work of this renowned architect. Parker Carrol – This was a joint project between Brian O’Connell, Limerick Civic Trust and Oviado University, Spain to research and produce a biography on a forgotten Irish hero. General research work for the general public. Recorded information on headstones in burial grounds. Erected sixty-six historical plaques in two phases. King’s Island survey: a development study. Information given to students and the public. The Folklore Project: 138 interviews recorded to date. The Exchange Wall: Arranged for a condition survey and a work methodology plan. Over 300 items of art, sculpture, monuments, murals, antiquities. etc. located throughout the streets of Limerick were recorded and catalogued. 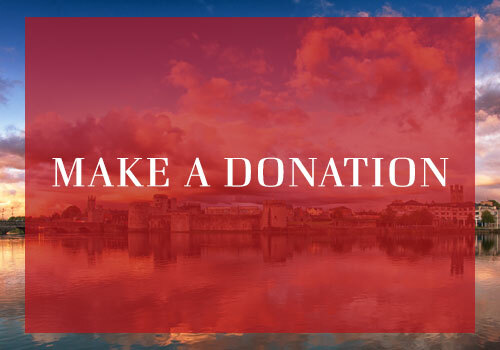 Limerick – An Appreciation – A précis of Limerick’s history. Heritage Precinct Walking Trail – A self-guided tour of the King’s Island area. A Trail of Three Limerick – Three walking trails based on our plaques project. The Georgian House & Garden – A visitor’s guide. The Limerick We Don’t See – A treasure trail of architectural features in the Newtown Pery area. The Limerick We Don’t See No. 2 – Englishtown Trail. The Hall of Fame Portraits – Honouring the achievements of 23 Limerick people. The Limerick We Don’t See No 3 – Irishtown Trail. Limerick – The Past Revisited – Two riverside walks between Thomond and Shannon Bridges. Georgian Limerick – An illustrated map of Newtown Pery. A 32 page calendar for January 2008 – January 2010, illustrating 25 selected Trust projects. The Bishops’ Palace – The Georgian House – A short history of these historic properties. Limerick Soccer – Research on the senior team’s history.